The criteria for visits and walks for your pet depends on the details concerning the care of your animal. By discussing the needs of your pet with the sitter you’ll be able to set off and hand over your keys free of any worries or concerns. Before anything else, it makes sense to choose the sitting service best suited to your pet. 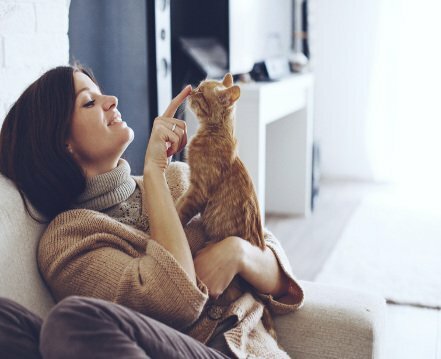 If you’re thinking of organising a sitting at your home, then remember that there are various pet sitting options each of which is adapted to the needs of different types of pets. As far as pet sitting in your home is concerned, we can also add visits and walks. In both cases, these services are ideally suited to independent animals, which cope well with their owner’s absence. However you’ll need to specify exactly the type of service you’re looking for, as visits do not involve the same activities as walks and you’ll want to make sure you’re getting the right service for your pet. If you wish to organise visits or walks for your pet, you’ll definitely need to specify the frequency. A sitter can visit your home up to several times a day according to your requirements. In order to find the right sitter, you must specify the frequency of visits that you want. Having specified the frequency of your visits/walks, you’ll also need to determine how long you would like them to last. Each time they visit, the pet sitter will be expected to carry out the tasks needed to take care of your pet’s welfare. Once you’ve specified the frequency and the duration, you can also agree with the sitter, the times of the visits/walks. These times can be set in line with both your regular routine and that of your pet. In fact the ideal solution is to timetable the visits at times when you will not be present for your pet. In addition to the criteria listed above, you’ll also need to supply the sitter with all the relevant information about your pet. Each pet has different requirements so it’s vital to explain these to the sitter before you go away. For example, if your pet is in receipt of medical treatment, you need to be sure that the sitter is able to administer any prescribed medication. If you want the sitter to take your dog out for walks, but you know that your dog tends to fight with other dogs, it’s advisable to warn the sitter about this in order to avoid any problems during your absence.